Tamari is a wheat and gluten-free versatile soya sauce made from whole soya beans, traditionally brewed and aged in wooden kegs in Japan. 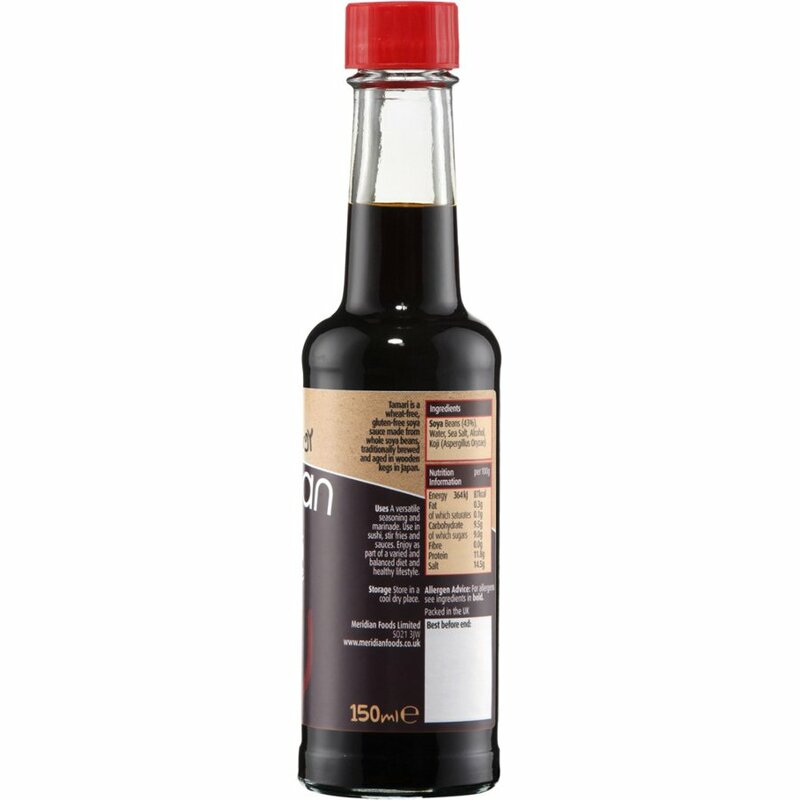 It can be used in marinades, sauces, dips, noodles and stir frys. A natural vegan friendly flavour enhancer with no additives or preservatives used instead of salt to reduce sodium intake without compromising taste. Great to cook with or to add after cooking for extra seasoning. The Meridian Tamari Soya Sauce 150ml product ethics are indicated below. To learn more about these product ethics and to see related products, follow the links below. Love it! I use it to give some extra taste to different plates. Will buy again. 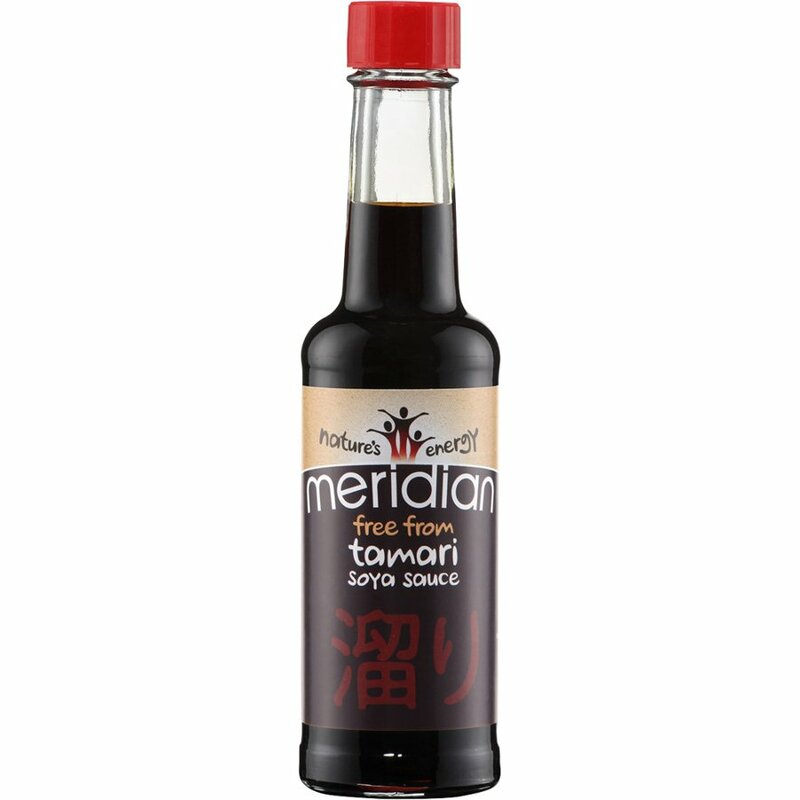 There are currently no questions to display about Meridian Tamari Soya Sauce 150ml.